As I mentioned a couple days ago, I am moving my decorating philosophy much closer to a simple, less-is-more mantra. I have always enjoyed shopping for decor, but I now have very specific ideals to focus on when faced with a purchase decision. 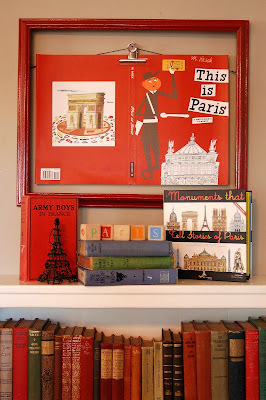 With three little boys and a small home, I don't have space for a large collection of beautiful elements that can wait around for specific seasons or a nesting mood to strike. Storage is certainly at a premium, and too many decorative items on display at once can easily add to a cluttered atmosphere. For those of you interested in either paring down a large amount of stuff into something more manageable, or in the beginning stages of gathering your own collection, I will share my personal list of decorating essentials. Speaking as much to myself as anyone who happens to be reading, if I don't spend some time cleaning and decluttering my home, no amount of decorating is going to make it a peaceful place to live. Sometimes I need to take down all the peripheral stuff and take a look around. Just one beautiful centerpiece can look stunning when it isn't competing with chaos. 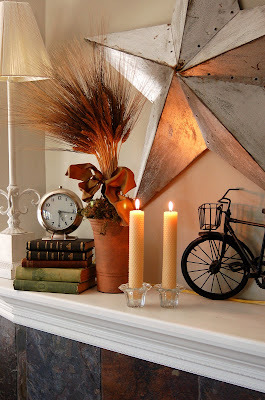 And, again, too many decorative items on display can create a cluttered atmosphere of their own. I've mentioned it before, but having one area that you have dedicated to beauty keeps the idea of decorating from being overwhelming. Choose an area (a simple white shelf, a mantel, the top of a piano...) and commit to keeping it free of life's clutter (keys, wayward mail, sippy cups...). Don't be afraid to experiment. Practice your arranging skills. Change items seasonally. You will find that your eye rests in that spot and gives you something to smile about. And that feeling is contagious. You'll want to keep the room picked up and maybe even extend the beauty to a new spot. On my essential list: platters, pedestal bowl and cake plate, and pitchers. These don't have to represent a significant investment. Scout out thrift stores or even the dollar store. The pedestal bowl is my favorite way to elevate (literally and figuratively) simple items into a beautiful centerpiece. 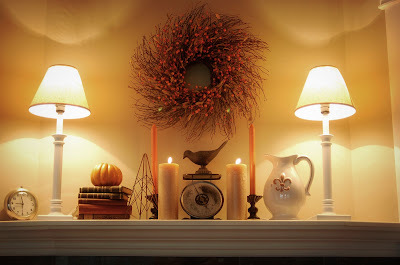 I use it year-round, easily adding natural groupings which do not have to be stored for the next season. I am on the constant look-out for vintage books with interesting bindings. They come in handy to elevate smaller items or to add a pop of color. When they are out of service, I return them to a decorative bookshelf where they look lovely as a larger collection. Larger beautiful books of fine art, gourmet cooking, interior design, or gardening can be used in similar ways. I love the colors and illustrations on quality children's picture books. Candles serve multiple functions in decorating. Nothing compares to the ambiant lighting of a small flickering flame. I like to have a selection of colored taper candles on hand (inexpensive and easy to use up), but I tend to purchase pillar candles in neutral tones since I don't use them as quickly and they represent a larger investment. Look for various textures (I love beeswax candles for a natural look) and don't forget the versatile glass religious candles. If you have the space, it is wonderful to have various sizes of vases for fresh flowers or other natural displays. I'm not one of those lucky people with cupboard space to spare, so I've had to think outside the box. I prefer to find pieces with more than one function. Glass or white pitchers, canning jars, or even drinking glasses all work as well (or better) than standard vases. Again, most thrift stores would be a terrific place to pick these up. Don't be afraid to bring the outside in. Metal barn stars, trellises, statuary, watering cans, old wagons, armillaries, terra cotta pots, even bird baths can look fabulous in the home. When they aren't being used, they just head back outdoors. This might be my favorite catagory. 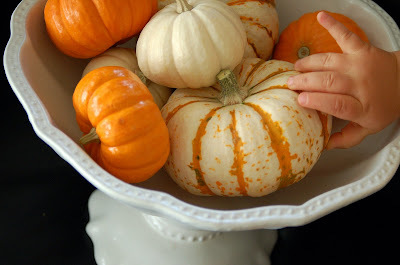 Inexpensive, easy to recycle, don't require storage, and speak volumes of the seasons. Moss, fruit, nuts, pine cones, stones, branches, fresh flowers, potted wheat grass, sheaves of wheat, shells, sand, gourds, leaves. The list really is endless. I don't know if they would be considered natural items, but baked goods can be displayed (though they don't last long in my house) such as a glass cookie jar filled with home-made treats, and nothing says home to me like a fresh-baked chocolate chip cookie. Many elements in my decorating collection are simple, basic pieces, but I do find that I like to have a couple one-of-a-kind, unusual, or vintage finds to spice things up. This is where personalities can really shine through. I have more to add to the list in a couple days, but this should certainly get you started! What decorating pieces can you not live without? I subscribe to the less is more philosophy too. I had to after having a sweet boy how liked to get into everything. :-) After his birth I decluttered my home twice in two different yard sales. Today, I love a beautiful blankets, nice tablecloths, and sometimes bathroom candles. Right now I am working on using some favorite picutres that I have taken to hang. I am going to spray paint all of my frames one solid color and make some type of cohesive collection. 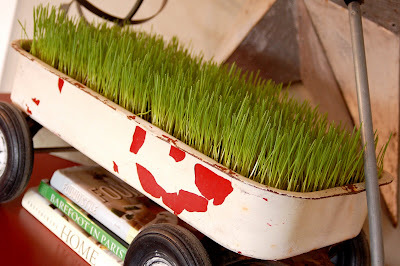 My fav idea that you shared is the wagon that has grass growing out of it. That is cute! Blessings on you and yours! 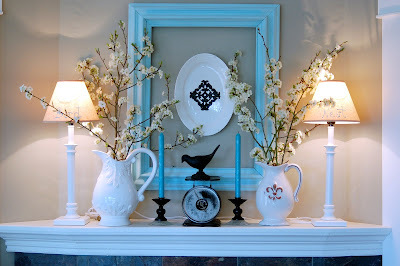 I love that mantel..just great! I love your decorating style and it resonates with me. For me, I love decorating with nature and candles. The options are endless! This is a fantastic post. I have been a lurker for a very long time. Love your "spot for beauty" It always looks very lovely. This is beautiful. I always have such a sense of peace about your home when I see your photos. I am a minimalist by nature, and easily throw away, recycle ror send to good will those things that = clutter. I am on the hunt for the perfect white dishes. I have always had an eye for the neatness they represent. I love what you've done with the pitchers. I am still working on making my home cozy and simple like yours. Piles appear out of no where! I am getting there...you inspire me so much and wish I could come hang out in your home. Ah, one of the topics we didn't cover while visiting at the beach. I soooo meant to tell you how much I love your sense of decor, your eye for "style", the warm, intimate, personal feeling you create in your home. Thanks for showing (& so clearly) that you can have an uncluttered home that has a couple focal points filled with visually pleasing treasures. I need to read and re-read this! I love your decor and too need to take this less is more path! This post has come to mind so often recently that I decided to find it again. Your decorating style is similar to what mine is...not that my home looks like this, but it is what I see in my minds eye...I just have a hard time making it a reality. I love the grouping of records. I would like to do something similar. 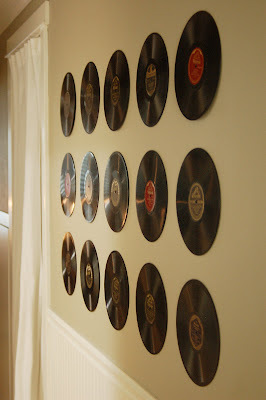 We love music, all kinds really, and live in an area where music has played a large role in its history (Muscle Shoals). Although the music industry seemed dormant here, it is beginning to be renewed. I would love to have this reminder of our interests and our local heritage. How did you hang them...nails, or something sticky?